Does anybody know the story with this building or its original purpose? It's on Wilshire at the end of Crenshaw, it's quite impressive when you're not expecting it. Google map links never seem to work. Do you have an address? 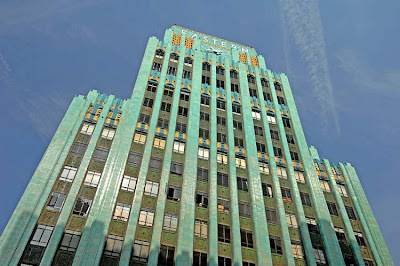 "It is the zig-zag moderne Eastern Columbia Building, however, with its facade of turquoise green terra cotta tile, ornate clock tower, art deco lighting, fixtures, signage and architectural detail that is Beelman's most recognizable work. 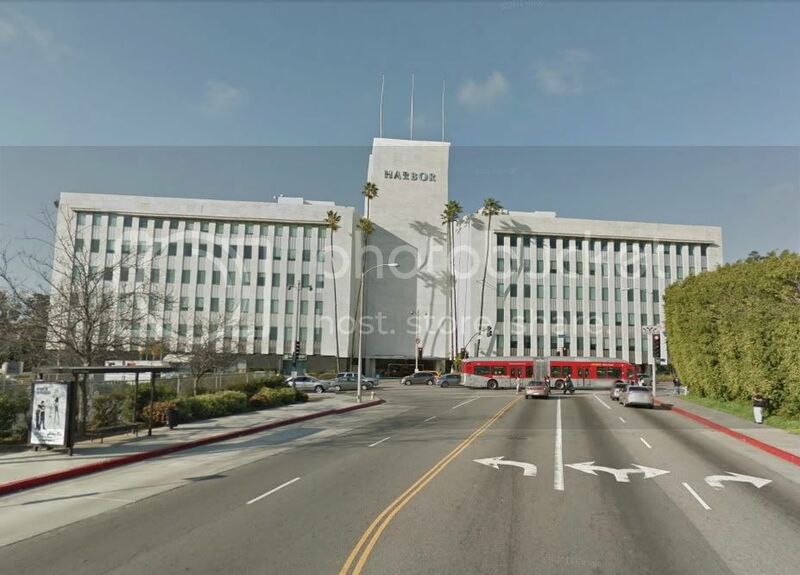 In 2006, the Eastern Columbia has been converted from office space to loft live/work spaces by the Kor Group and is now one of the most desirable loft buildings in Downtown Los Angeles." Just found out it was built on the site formerly occupied by the "Norma Desmond" house. Yeah, the Harbor Building was built in 1958 for J. Paul Getty’s Tidewater Oil Company. Been inside a time or two. It's very cool!